A little over a week ago I posed the question of whether these two young women were the same person. Thank you to all who voted or commented. 51 votes have been lodged, of which 39 (76%) voted no, and 12 (24%) voted yes. I held off publishing comments for a few days, but people could have seen comments on twitter, facebook, and google+ where I promoted the post. I also posted the same poll on the Genealogy group on Facebook, resulting in 9 (45%) voted no, 6 (30%) voted yes and 5 (25%) voted maybe. Although the question originally only had yes/no options, someone added maybe early in the vote. Voters could see comments by others. These results do not agree with an offline study I did a while ago with 35 people who had no opportunity to compare notes and a limited time to answer. 11 (31%) voted no, and 24 (69%) voted yes. Comments suggest people spent some time looking closely at ears, noses, eyes, hair and lips. 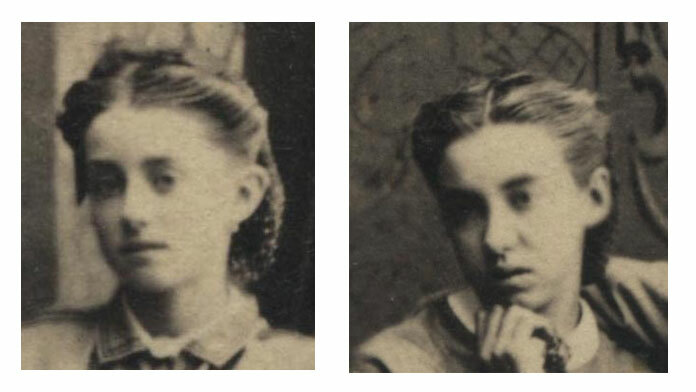 Several people commented that it is tricky and suggested the pair may be sisters or twins. Presenting the poll via social media brought in more respondents, but it is hard to know how much they influenced one another. The combined number of respondents is 106, which may not be enough to yield a statistically valid result. So, are the two young women the same person? No. They appear in the same photograph. Silvy, Camille (photographer). 13 July 1862. Portrait of B & A Lambert taken at 38 Porchester Terrace, Bayswater W. Personal collection of Sue Adams. Identified by Mark Haworth-Booth as no 10568 in Silvy’s Daybook Volume 8, National Portrait Gallery. Are they related? The photographer’s record names them as B & A Lambert, so I would say yes. More research is needed to establish the exact nature of the relationship. Interesting! Right before I got to the part about them being in the same photograph that thought crossed my mind. 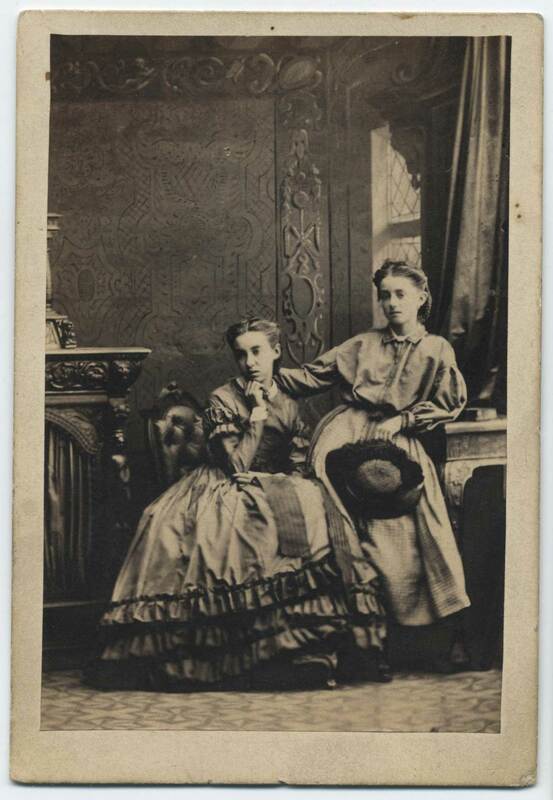 Also, I was doing research on 1860s fashion and this is a great example. Thank you!